This large painting, you can see the imagery, is much more complex. 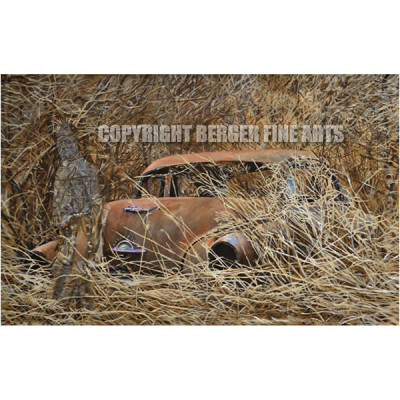 The colors of fall lend themselves to rusting vehicles like the one shown here. I have to stop myself from having the trees and grasses completely envelop the vehicle it just is hard knowing where to stop. This 24" x 38" archival quality Giclee print is signed and ready to frame.